There's an old story -- Orson Welles called it "the greatest Hollywood one-liner ever made" -- that when someone attending the 1958 funeral of Harry Cohn, the fearsome president of Columbia Pictures, asked how it was possible that such a huge crowd would show up for Cohn's funeral, Billy Wilder quipped: "Well, give the people what they want." The story is almost certainly apocryphal. The line may have been spoken by someone else, at a different Hollywood mogul's funeral. But the fact that it is so often attributed to Wilder says something about his reputation as a man with a razor-sharp wit and a firm grasp of the imperatives of popular movie-making. In films like Sunset Boulevard, Some Like it Hot, Double Indemnity and Sabrina, Wilder used his formidable craft as a director to tell stories in a clear and efficient way. It was an ethic he picked up as a screenwriter. Wilder was born in Austria-Hungary and moved as a young man to Germany, where he worked as a newspaper reporter. In the late 1920s he began writing screenplays for the German film industry, but he fled the country soon after Adolf Hitler became chancellor in 1933. Wilder made his way to Hollywood, where he continued to write screenplays. He co-wrote a number of successful films in the 30s, including Ninotchka, Hold Back the Dawn and Ball of Fire. 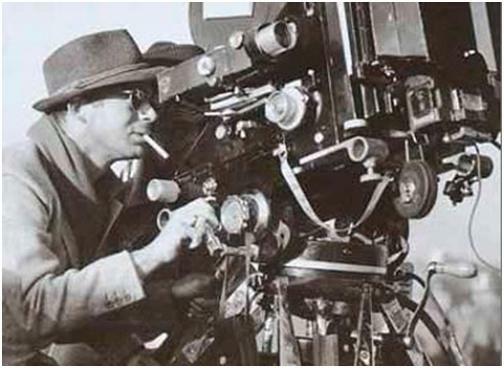 In the early 40s he got his first chance to direct a Hollywood movie, and a long string of hits followed. In 1960 he won three Academy Awards for producing, writing and directing The Apartment. Wilder was 90 years old when the young director Cameron Crowe approached him in 1996 about playing a small role in Jerry Maguire. Wilder said no, but the two men formed a friendship. Over the next several years they talked extensively about filmmaking, and in 1999 Crowe published Conversations with Wilder. One of the book's highlights is a list of ten screenwriting tips by Wilder. "I know a lot of people that have already Xeroxed that list and put it by their typewriter," Crowe said in a 1999 NPR interview. "And, you know, there's no better film school really than listening to what Billy Wilder says." 2: Grab 'em by the throat and never let 'em go. 4: Know where you're going. 7: A tip from Lubitsch: Let the audience add up two plus two. They'll love you forever. 8: In doing voice-overs, be careful not to describe what the audience already sees. Add to what they're seeing. 10: The third act must build, build, build in tempo and action until the last event, and then -- that's it. Don't hang around. Note: Readers might also be interested in Wilder's 1996 Paris Review interview. It's called The Art of of Screenwriting. All good advice for sure. I loved Double Indemnity and The Apartment! He was brilliant! There is a great book of an extended Billy Wilder interview by Cameron Crowe (another hero of mine). It’s pretty amazing, worth reading! And let’s not forget that Wilder was a disciple of Ernst Lubitsch, arguably the greatest (and certainly the most elegant) comedic director in classic Hollywood history. Great advice there. No wonder he’s one of the greatest director/scriptwriter the world has ever seen! Thi know the future we often must seek the past. Sage advice. I’d like to watch these films and read the books to see where I can improve. Thanks for sharing.